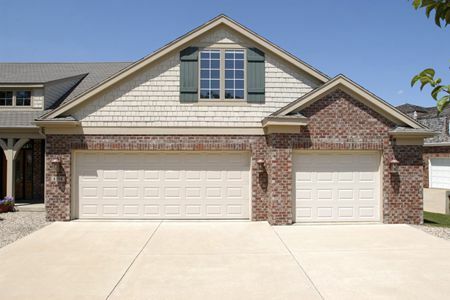 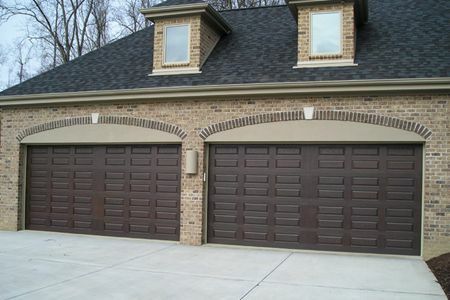 Sectional garage door offers the greatest degree of aesthetic adaptability. 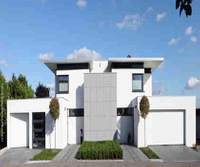 It comprises a number of large sections or panels that come in a wide range of designs and colors. 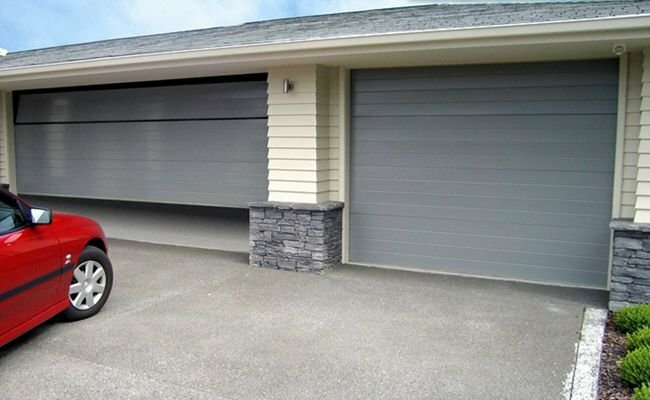 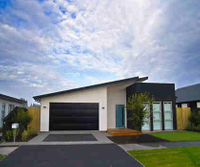 The Sectional garage door offers the greatest degree of aesthetic adaptability. 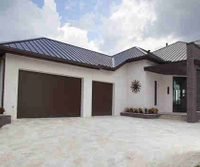 It comprises a number of large sections or panels that come in a wide range of designs and colors. 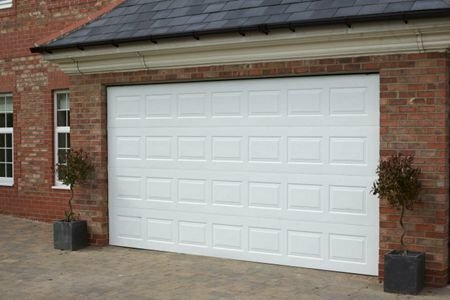 Sectional Garage Doors are most commonly made from pressed steel, but can be manufactured from timber to provide a more natural look. 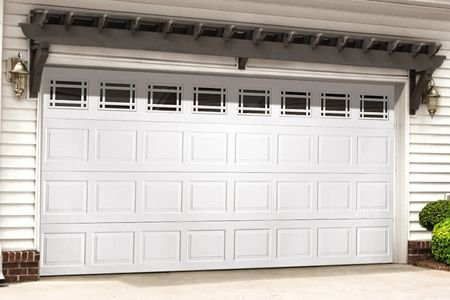 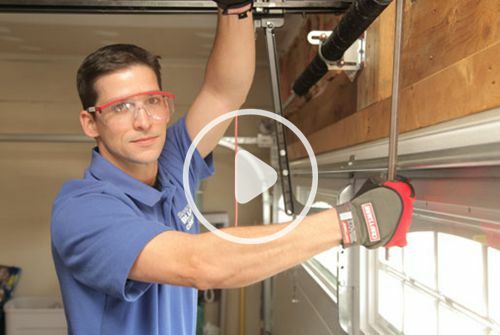 Garage Doors are made from a number of rigid sections/panels that are hinged together and move vertically in the opening, then horizontally along the ceiling, guided by tracks and counter-balanced with springs. 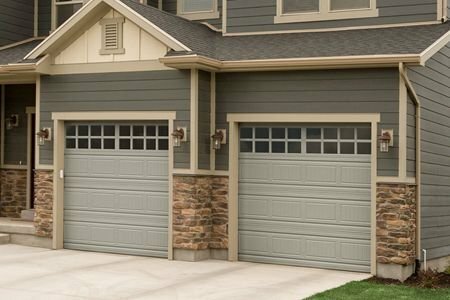 These doors are the most aesthetically adaptable of most garage doors, and are available in a range of colors, patterns and may also feature windows. 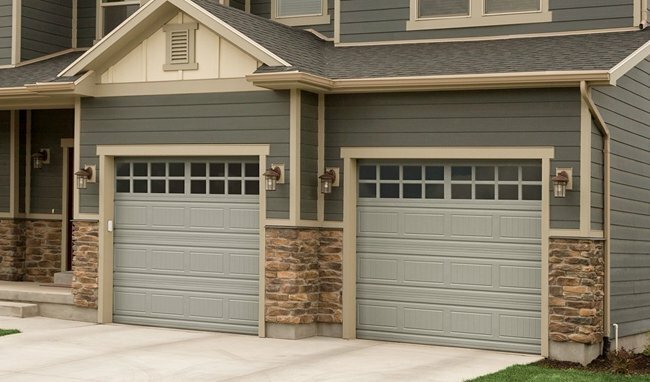 Sectional doors can be made of wood and other materials, but are most commonly made of steel. 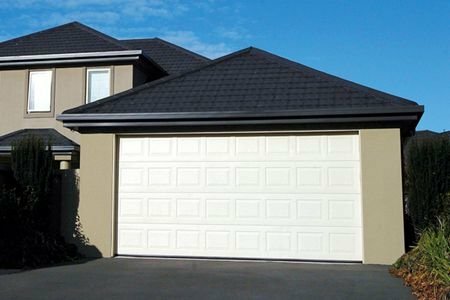 modern garage, luxury villa. 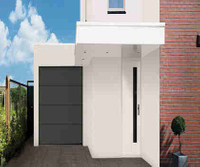 Meet the requirements of different size and designs.